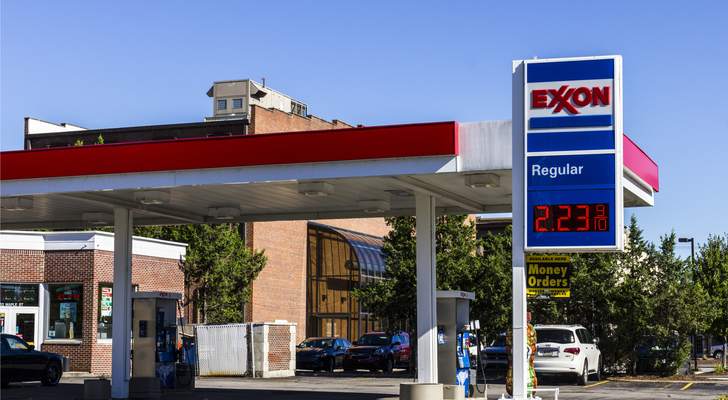 Exxon Mobil (NYSE:XOM) has a lot going for it. The company’s integrated structure mitigates the effect on oil prices on earnings — and on the XOM stock price. New management has an aggressive growth plan. Annual dividend increases continues to be solid with Exxon Mobil stock currently offering an attractive 4% yield. Overall, I like XOM stock — at the right price. Indeed, I bought Exxon Mobil stock last year in the $70s. But I sold it in the $80s, because, again, price matters for the shares. With interest in the energy sector heating up of late, thanks to a big merger and higher oil prices, Exxon Mobil stock might seem even more attractive at the moment. But the same structure that mitigates risk also reduces reward. And so investors seeing more upside in energy stocks should remember that if the sector continues to rally, XOM is likely to underperform. The U.S. energy industry — which has struggled for a good chunk of the post-crisis bull market — looks hot again. WTI crude oil prices have risen 39% already in 2019. Shale plays in Texas, in particular, are growing production at a rapid clip. And now Chevron (NYSE:CVX) is planning to acquire Anadarko Petroleum (NYSE:APC) in a deal valued at nearly $50 billion. As CNBC reported, there’s a sentiment among analysts, at least, that the Chevron-Anadarko deal is just the first of many. Investors seem to agree, as major Permian stocks like Pioneer Natural Resources (NYSE:PXD) and Concho Resources (NYSE:CXO) jumped on the news of the acquisition. Those companies could be acquisition targets themselves with Exxon Mobil a potential buyer. All told, the optimism toward the industry seen so far this year makes some sense. Oil prices are helping, though natural gas prices have faded after a late 2018 spike. Production in the Permian, as well as the Bakken play in North Dakota, is likely to increase. With energy stocks largely left for dead the past few years, there’s likely room for the rally to continue. Why Not Exxon Mobil Stock? If that rally does continue, XOM stock very well could rise. But it’s highly unlikely that an integrated producer is the right bet for higher oil prices — and greater shale production. But those downstream businesses generally will see margins compress if oil continues to rally. And so upstream-only players — producers like Anadarko and Concho — should benefit more if oil adds to its YTD gains. There’s also the M&A angle. Obviously, no company is going to acquire Exxon Mobil; it’s the largest energy company in the world outside of Saudi Arabia. Rather, particularly given its relative lack of shale exposure, Exxon Mobil is going to be the acquirer if the shale boom continues, but it’s the target, not the buyer, whose stock generally rises in those scenarios. For both those reasons, an investor betting on continued optimism toward shale should look away from XOM stock — and to the smaller producers, one of which might be acquired by Exxon Mobil. That’s why Concho and Pioneer rose on the news of the Anadarko acquisition. Chesapeake Energy (NYSE:CHK) continues to be a high-risk, and high-reward, play on that thesis. (Indeed, CHK has risen 46% so far this year.) Its debt load makes an acquisition unlikely for now; higher oil prices should make that debt more manageable and increase near-term cash flow that can reduce its leverage. Broadly speaking, there’s no shortage of potential plays if shale is going to keep moving higher. Per CNBC, RBC analyst Scott Hanold called out Noble Energy (NYSE:NBL) as a likely takeout candidate. Apache Corporation (NYSE:APA) has shale exposure and enough heft to be attractive to a major like Exxon. Again, this is not to say that XOM is a poor stock or even a sell. Higher oil prices should provide some benefit to earnings and, potentially, to Exxon Mobil shares. The dividend yield is attractive, and the valuation remains reasonable. But if shale growth continues, the big rewards here are going to go to the smaller producers and the companies that get sold. It’s at those stocks that investors should look if they think the moves in the energy sector are only beginning. Article printed from InvestorPlace Media, https://investorplace.com/2019/04/why-exxon-mobil-stock-isnt-the-play-in-the-suddenly-hot-energy-sector/.